The Air Force and Civil Air Patrol helped police find a helicopter that crashed in Pennsylvania by using one of the passenger’s cellphones to get a fixed position. The Morning Call in Allentown first reported on Wednesday that the Air Force helped direct rescuers to the downed helicopter in Monroe County. Two people onboard were killed but one survived and was listed in critical condition. 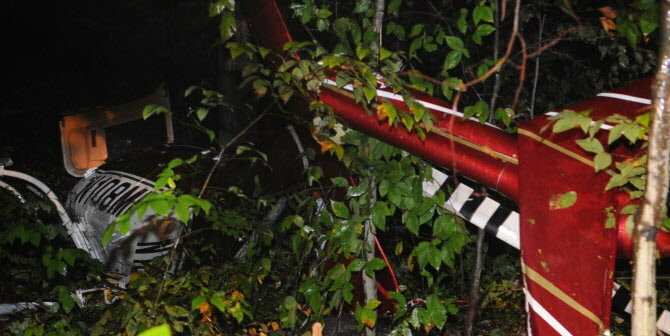 Before the crash, one of the passengers had texted his wife to say that the helicopter was diverting from its flight path due to bad weather and that allowed the Civil Air Patrol to “ping” the passenger’s cellphone in order to figure out where it was in relation to the nearest cellphone tower at the time of the text, Conley said. The Air Force combined that data with radar information to give rescuers an idea of where to search, he said.